If you are reserving a Taxi from the airport of Barcelona, please fill in the form the flight number and the arrival expected time We need this information to check your arrival airport terminal and to change your pickup time in case of flight delay! If you are reserving a transfer from Barcelona Cruise Port, indicate the name of the cruiser to check your disembark gate. Standard suitcases size is 46x69x29cms (18x27x11in); please select the kind of vehicle corresponding to the quantity of suitcases that you are taking with you. If you are travelling with hand luggage, each 3 hand suitcases occupy the space of 2 standard suitcases. If you are travelling with a foldable trolley, each one occupy the space of a standard suitcase. In case of any doubt, please contact us or indicate your luggage in additional information of your reservation. If you want to reserve a guided tour, please select the -Daytrips- tab on booking form. Hourly Hire option is only valid within Barcelona Metropolitan area; for excursions outside Barcelona please select the "Door to Door" tab and add the required stops to any location you would like to visit. Check our refund policy: You can cancel your reservation without any charge up to 60 minutes before pickup time. We wil refund the amount paid by the same payment method utilized (PayPal or Credit Card).To modify or cancel your reservation please send us an email (from Monday to Friday during working hours, 09:00 -18:00) or call our 24 hours helpline to the phone number indicated in your booking voucher. Special notice for Formula One and MotoGP transfers; please check here. Book Taxi through our website and pay by credit card or PayPal. A taxi will be waiting at the predetermined time and place to take you to your destination without having to pay any other amount. 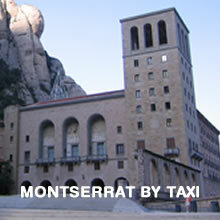 We perform transfer services from Barcelona and Girona airport to the city center or any other destination. Transfers between Airport and Barcelona Cruise port, special transfers to La Roca Village Outlet. Transportation to sporting events , golf tournaments , Formula 1 Grand Prix, Transfers to PortAventura and transfers for trade fairs and conferences in the city or surrounding area, as for the World Mobile Congress. Transportation to the ski resorts, Andorra. Transport to Costa Brava and Costa Dorada, etc. Meet & Greet service at Airport and Cruise Terminal. The Driver will be waiting for you at airport arrival area or Cruise terminal dock with a sign showing your name. Expected arrival time check. We check your flight arrival time and we reschedule your pickup if your flight is delayed. No additional cost will be charged. Free of charge cancellation. You can modify or cancel your booking until 1 hour before pickup, by sending us an email during working hours (Mon to Fri, from 09:00 to 18:00) or calling our 24 hours helpline to the telephone number printed on your confirmation voucher. We don't charge any additional cost for modification or cancellation. What you see is what you pay. No additional charges is needed for Airport taxes, Cruise Port taxes, Luggage or additional luggage, Highway or any other fee. - Barcelona Transfers: The best quality in Airport Transportation. - 24 hour service, 24 hours helpline (phone numbers are in confirmation voucher). - Rate "all inclusive" , no extra baggage fees or fuel. 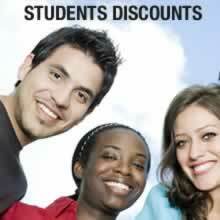 - Online booking up to 1 hour before the desired collection. - Cancellation or modification of the reservation without any charge up to 1 hour before collection, full refund guarantee. - Minivans up to 8 people and 12 suitcases, Minbuses up to 24 people and 54 people Coaches. Last minute booking? BookTaxiBarcelona accepts bookings up until 1 hour before your planned transfer at NO ADDITIONAL COST. Is my booking a private or shared transfer? All Barcelona Transfers are private services. Your party will be the vehicle’s only passengers. This means no queues, no waiting for other passengers to arrive and no additional stops. What about child seats? Optional extras like child seats can be added directly in booking form. You can order up to 2 child seats or boosters per vehicle. What about key collection or intermediate stops? You can add up to 8 intermediate stops to your journey, selecting the link "add stops" located below drop off address. Stops only will be added to your ingoing transfer. Return transfer is intended as direct from pickup to destination. If your are booking a taxi from Barcelona Airport, the driver will be waiting in the arrivals hall, after your party has collected their luggage and cleared customs. He/She will be holding a sign showing the name provided in booking form. From City to airport: If you are being collected from your hotel, the driver will meet your group in the hotel’s main lobby. If you are being collected from a private apartment or villa, please have your group waiting out front at the scheduled pick-up time. In other cases, please provide us with an address and specific details (plaza, square, landmark, etc.) of where you would like your group to be collected during the booking process. There is any additional fee to pay? No, there are no booking fees and no charge for PayPal, credit or debit card payment. Specific details for where to meet your driver are provided on your Booking Voucher. Are you looking for a reliable and affordable transfer service between Barcelona Airport and City Centre? We are your solution! Reliable, Comfortable Airport Transfers Taxi Service in Barcelona. Easy Online Booking, Credit Cards, 24hours helpline.. We provide a quality service by online reservation, priority collection and flat rate, so you do not have to worry at all. Book your transfer from / to Barcelona Airport directly through our website and pay by credit card or PayPal. A taxi will be waiting at the predetermined time and place to take you to your destination without having to pay any other amount. Other people also searched for: Taxi from Barcelona Airport, Taxi Barcelona Airport, Barcelona Airport Taxi, Transfers from Barcelona Airport.